Hello everyone! I hope those who celebrate are having a wonderful holiday. I made my family an eggnog cheesecake which I can't wait to dig into! 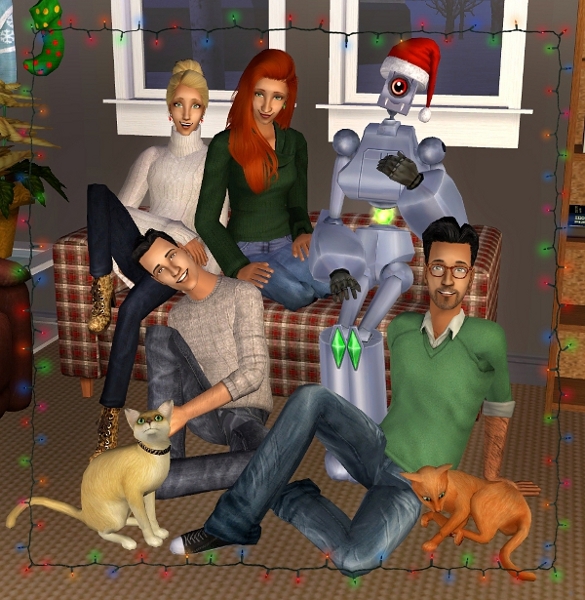 I also made a few sim pictures for Christmas; some simple family portraits this time. For high-res versions, check out this tag, and in case you missed it please check out all my advent gifts here. 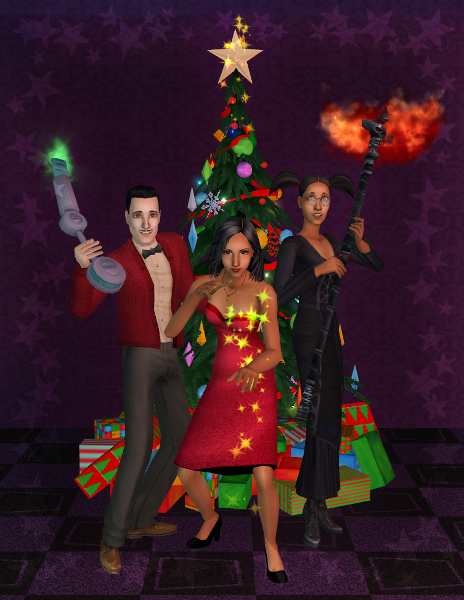 Also check out previous Christmas photoshoots here, here, and here. I can't believe it's been four years since I joined the community! Thank you to everyone who's stuck around for that long. What lovely portraits, I especially like the Tricou family portrait!